Check Back For Our Next Class! Check back to learn more about our next class at the Hiddenite Arts & Heritage Center. The class will be held at the Hiddenite Center Educational Complex located at 70 Hiddenite Church Road in Hiddenite, NC. 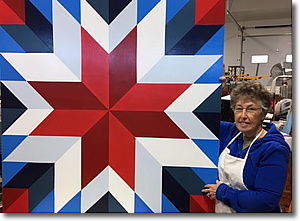 In this "make and take" class, instructor Carol Mitchell will lead students in creating their own 2’ x 2’ painted Barn Quilt. Cost for this beginner’s level workshop with all materials provided by the instructor is $40 for Center members and $45 for the public. Advance payment is required. To register, call the Hiddenite Arts & Heritage Center at 828-632-6966. Carol Mitchell and her husband Steve are owners & operators of Mountainside Farms in Alexander County. 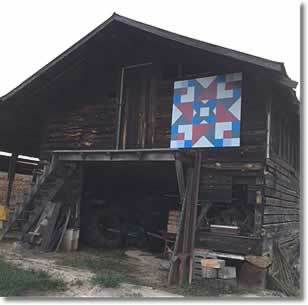 Her popular Barn Quilt projects are an extension of her lifelong involvement in agriculture. I offer classes to different groups in Alexander and surrounding counties. Gather a group of at least 10 friends and we will schedule your own "Painting Party"! Classes are usually available at the Hiddenite Center on a monthly basis. Just call the Hiddenite Center at 828-632-6966 to learn about my upcoming classes. For more information about ordering Barn Quilt Squares or upcoming classes, please email, text or call at 828-612-6077. We at Mountainside Farms are happy to serve you! I will be happy to send you a brochure by mail, or click here to view a brochure. 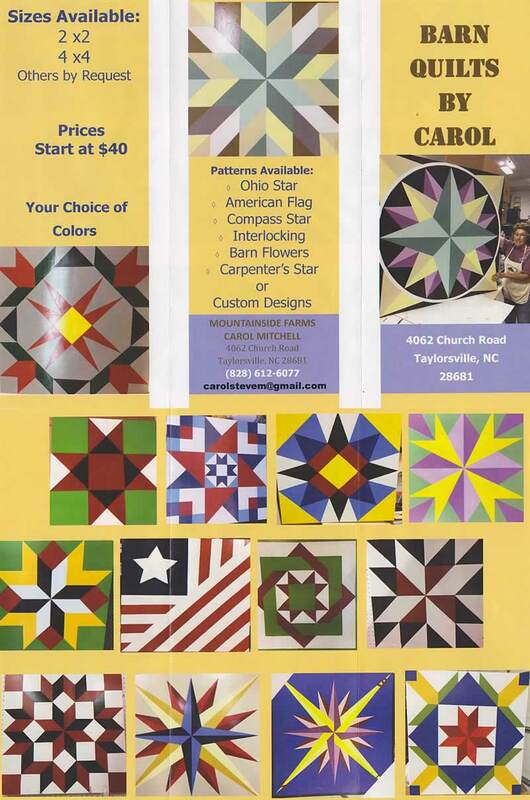 Barn Quilt Squares were started in Ohio by a lady who wanted to honor her mother with a quilt square on her barn; so the first Barn Quilt Trail was started in 2001 with the design of the Ohio star. This is the design that I offer in my classes for each to start painting. 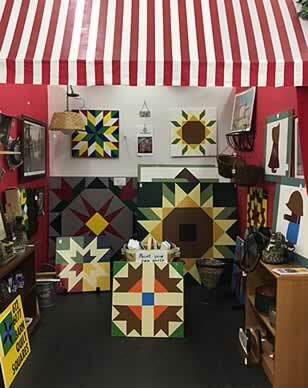 There are 43 states that have Barn Quilt Trails. Barn Quilt Squares are a welcome sign to any barn, garage, outbuilding or front porch. I paint 2' x 2' and 4' x 4' squares by order. These can be delivered or picked up at our farm. Our boards are primed and painted both on the back and front. A sealer is applied to the front side of the board when the painting is finished. 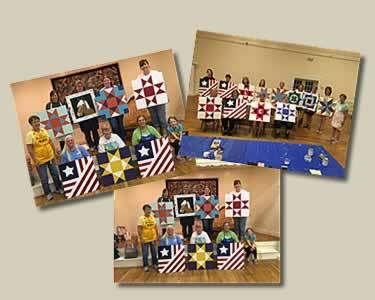 I can create a customized Barn Quilt Square from a photo if you are interested in a certain design or theme.